We are having a lull in the snow as I write this but the temps are dropping. I feel the cold air from the computer room window, even though it has plastic on it the cold air seeps through. Its one of the few windows that don’t have combination windows. Next year its a must. 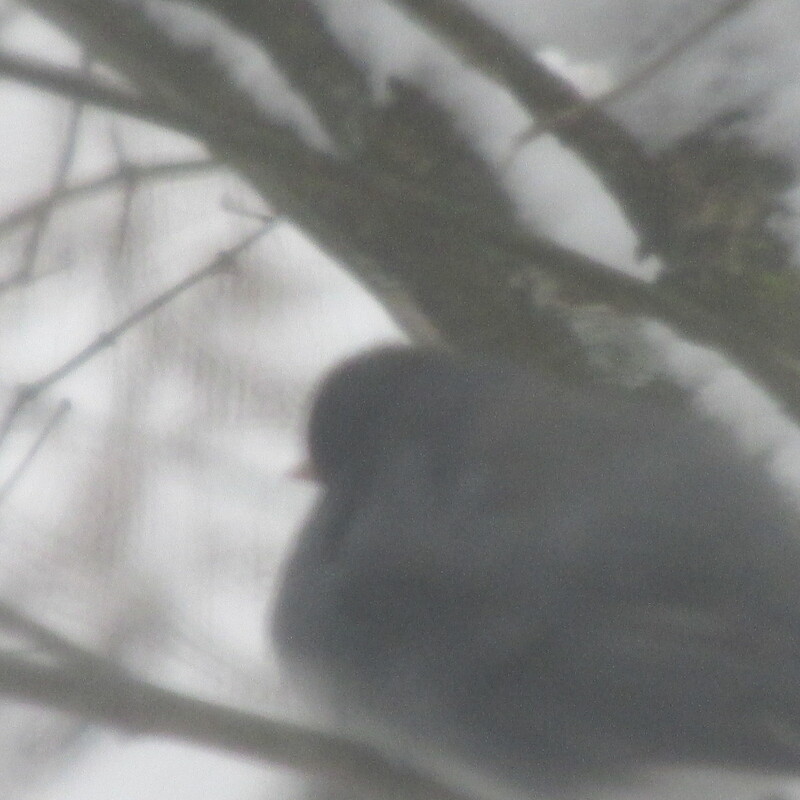 A snow bird sits fluffed up on a lilac branch. I brought another hen in today. 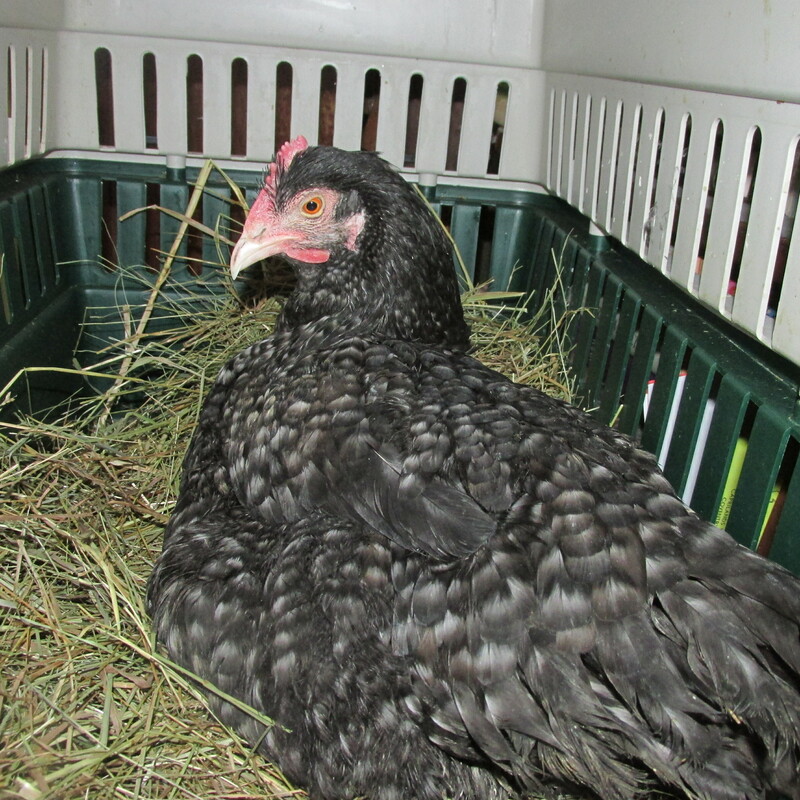 Milly a Cuckoo Maran. She has always had foot problems, having feet like a rooster. Its something that I can’t treat outside in this cold weather. She is in the large crate temporarily till I get another cage. She has found the Mealy worms. 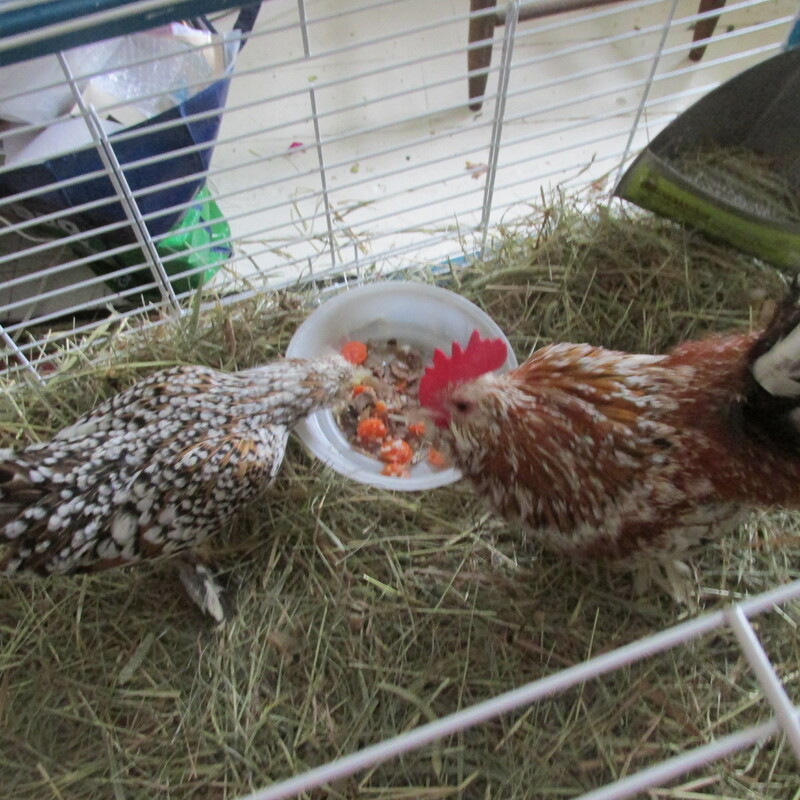 They were all together in the gentle coop. 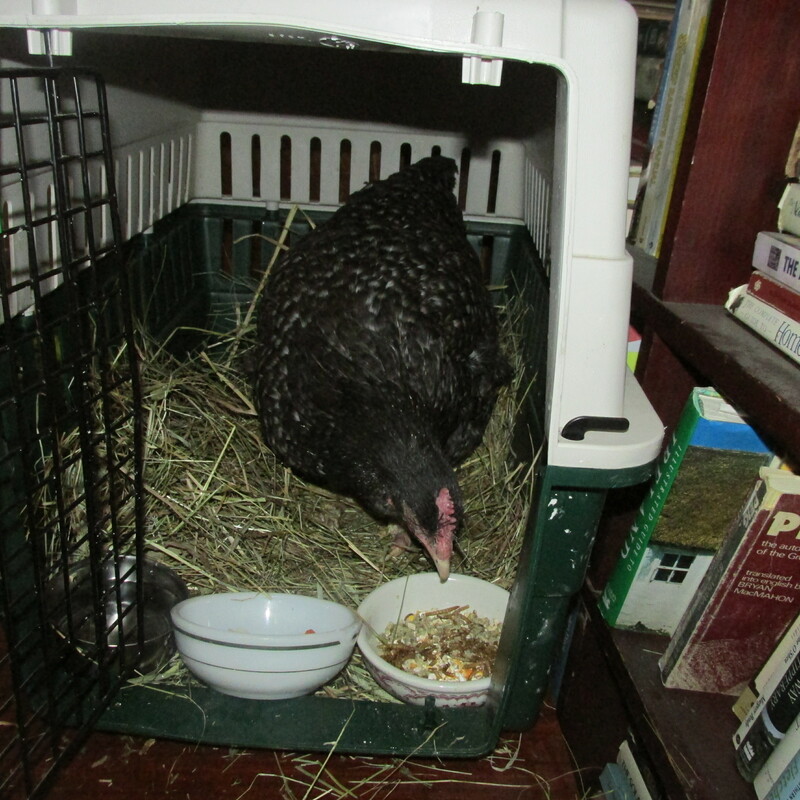 She is enjoying the mealworms which they rarely get outside. She will be in till the warmer weather comes. With homemade vegetable soup in the crock pot today I am blending chores with things I love. 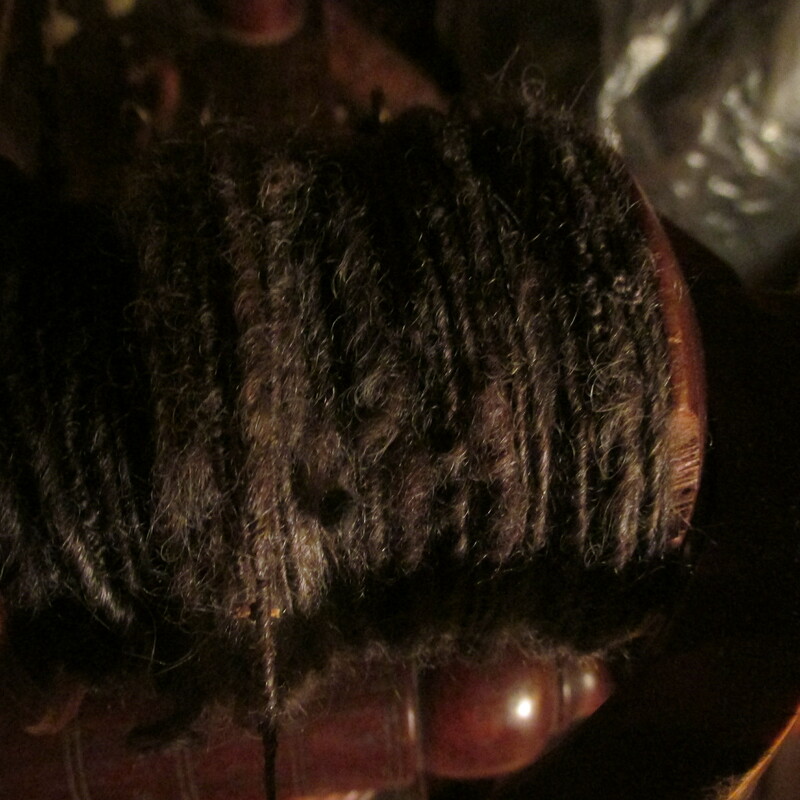 I am knitting a scarf out of some wonderful mohair yarn that I bought in Ireland and doing some spinning. Two wonderful things to do on a snowy day. 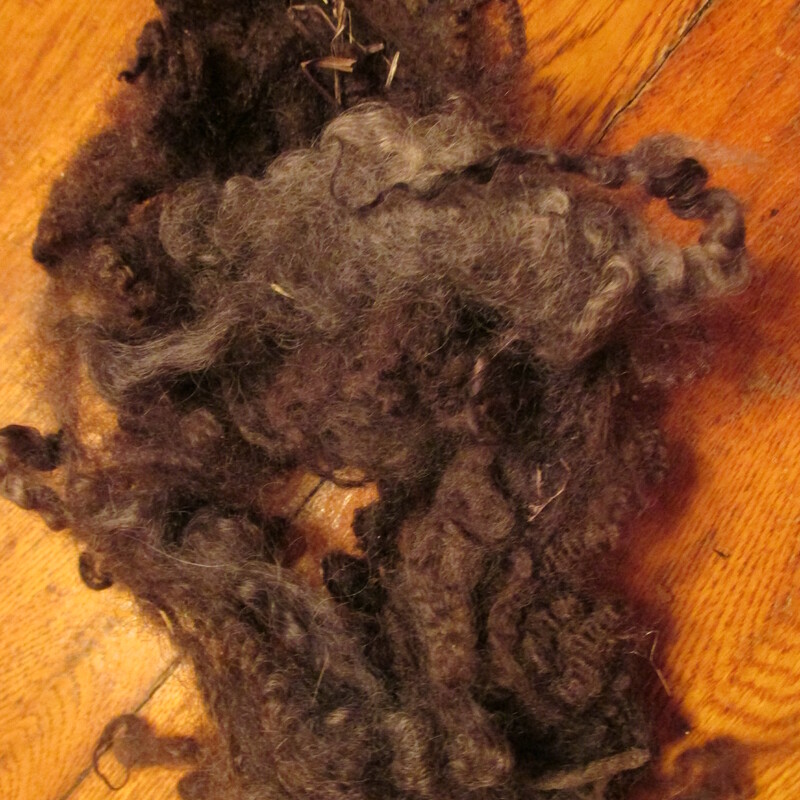 The wool I am spinning is from my sheep Lottie , Sadie’s Mom. She had beautiful wool with long lustrous locks. 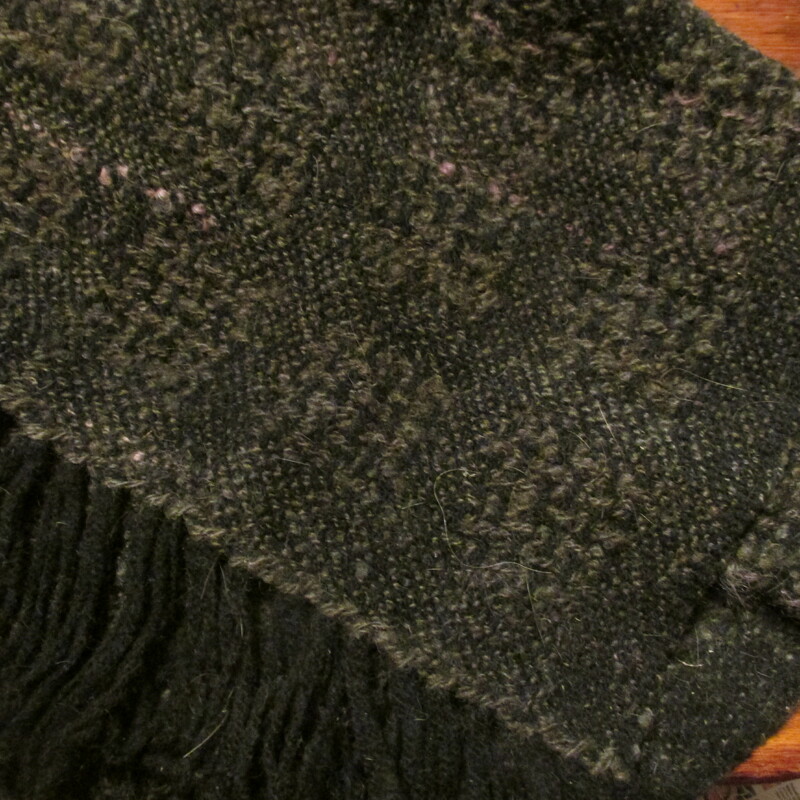 We won a sheep to shawl contest with this shawl, the warm was handspun merino and the weft was Lottie with fleck of colored locks spun into the wool. It’s a beautiful shawl and I use it quite often. I am planning to make some fleece lines mittens with the rest of the wool. I love reading your blog Carole! Hey Dondi, what have you been up to. Thanks for the kind comment. Glad you like it, I love doing it.